In an attempt to promote greater understanding of classical macro-social theory, particularly its implications for social criticism and prediction, I have created an Internet Web Site on the nine classical social theorists listed to the right of this page. I have included bibliographies, short essays, links to primary sources, and other worthwhile Internet materials. 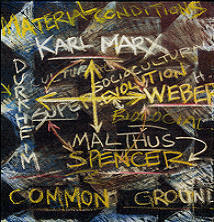 I developed these web sites as aides for myself and my students to further our studies of these theorists. They are included for historical interest as well as their usefulness in understanding contemporary social structure and change. The book is a commentary on Malthus’ 1798 Essay on Population that attempts to tie the interpretation closely to the original Essay rather than to the politically charged reactions to that Essay. Malthus' master work is not a simplistic projection of future population growth and inevitable collapse, the Essay is actually a far subtler ecological-evolutionary social theory. 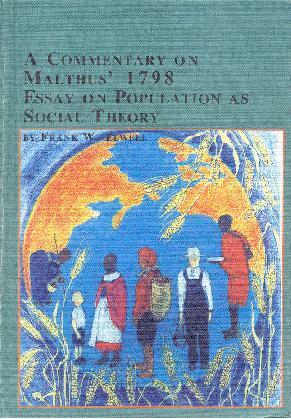 Malthus’ theory is fundamentally based on the relationships between population and food production. Increase the supply of food, he argues, and population will rise to meet this increase. This, he asserts, means that the race between population and resources can never be truly won by any sociocultural system. Therefore, some measure of social inequality is inevitable in all human societies. The work includes commentary and criticism of Malthus’ methodology, the materialist, evolutionary, and functional elements of his theory, as well as the application of his theory to understanding the nature of welfare programs and possibilities for social progress. The Evolution of the Future Revisited is an update of the 1991 book that uses basic principles of sociology and a thorough background in history to evaluate and critique the forecasts of the ecologists, technologists, utopians and dystopians of the day. 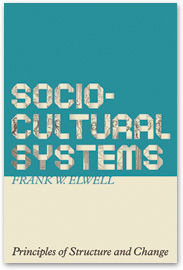 While most futurists rely upon simple trend analysis, Elwell contends that one must first understand the structure and dynamics of sociocultural systems—how the various parts of a society fit together and affect one another—before one can accurately identify the forces and likely direction of sociocultural change. 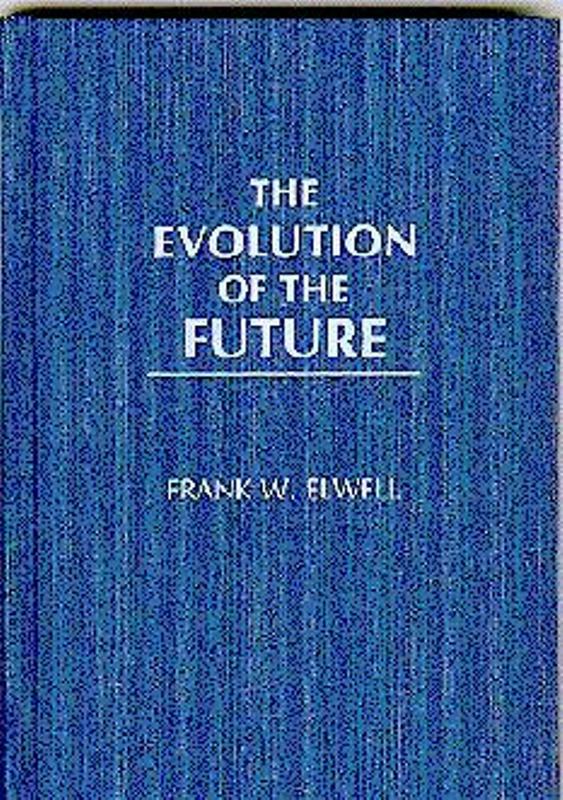 There is a well-defined social evolutionary process, Elwell argues, and an understanding of this process is central in understanding the forces that are shaping the future. Revised and updated on its 21year anniversary, the book holds up remarkably well in its critiques as well as in its own unique vision of sociocultural systems and its forecasts for the future of industrial society. The exclusive emphasis upon macro social theory is important because it is central to the social science disciplines but often given only cursory and incomplete treatment in modern texts. Macro social theory—a comprehensive world view of sociocultural system stability and change—provides structure and guidance in understanding world events. The promise of such understanding is the primary draw for many students of the social sciences. Unfortunately, classical theorists are often treated as historical artifacts rather than useful guides in understanding sociocultural systems; nor are modern macro theorists given significant textbook treatment. This website and its companion (In the Classical Tradition) will provide a vehicle for reintegrating macro social theory into the discipline. I believe Braverman, Wallerstein, and Foster do Marx better than Marx does Marx. I can get the richness of Weber’s perspective across to students through examining his influence on such exciting contemporary figures as Mills, Elias, and Ritzer. By examining the theory of Mestrovic, Merton, and Nisbet I can make Durkheim’s theories about the division of labor and anomie obvious and relevant in today’s world. Through an examination of classical theory as modified by contemporaries, I can demonstrate to students that sociological theory is indispensable in understanding the social world.